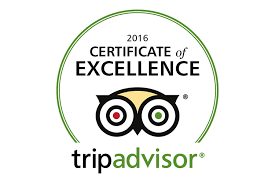 Due to consistently high ratings from TripAdvisor travellers, the Dorchester has been awarded a Certificate of Excellence for seven consecutive years. 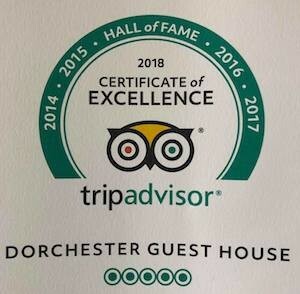 This prestigious award places The Dorchester in the top 10% of all buisinesses worldwide on TripAdvisor, so you can be confident of a comfortable and enjoyable stay. 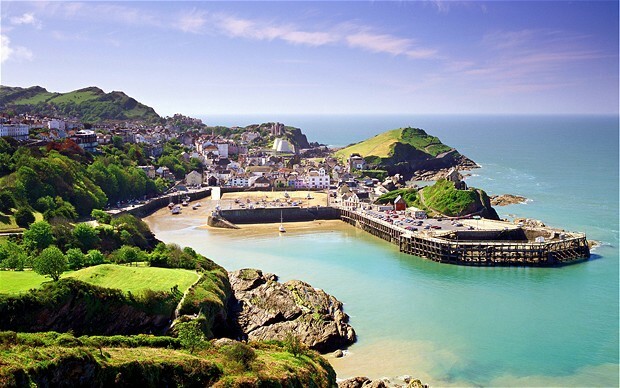 The Dorchester Guest House is a non-smoking, family run Guest House in the beautiful coastal town of Ilfracombe in North Devon. Parking on site is free but limited, so we recommend reserving in advance to avoid disappointment. The Dorchester cannot be held responsible for any damage to any vehicles and their contents, and guests park entirely at their own risk. Please note that there are 24 steps leading up to the guest house. Having a family gathering? 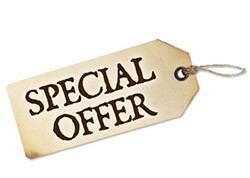 You can book the whole house and enjoy your time together privately without other guests. Call us directly on 01271 865472 to discuss your requirements. 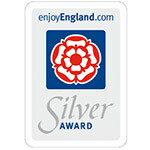 All rooms are en suite and well decorated, tastefully furnished and cleaned to a very high standard. Each room has a flatscreen TV, DVD player, hairdryer and generous hospitality tray. We also provide a small fridge with daily fresh milk. A small selection of wines, beers and soft drinks are available to purchase at very reasonable prices. Set within a beautifully restored Victorian guest house, ‘Bijou’ is a new refurbished, self-contained and self-catering one bedroom basement flat.Comfortable, stylish and offering uninterrupted privacy, Bijou is just 800yards (as the crow flies) from Ilfracombe harbour, and a short 10-15 minute walk from The Tunnels Beaches, High street and Restaurants. Bijou has everything you need for a relaxing break and is perfect for couples, solo travelers and business travelers alike. 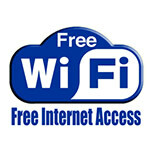 Bijou has it’s own allocated Parking Space and complimentary Wi-Fi. 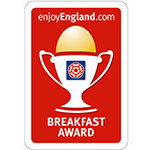 Our guests love our award winning breakfasts and many of them have written great reviews about them on TripAdvisor and Booking.com. They’re freshly cooked using local ingredients wherever possible and served for you in our bright and airy Breakfast Room. With prior notice special dietary requirements can be catered for. We are fully Licensed, so a choice of beers, wines and spirits are available in our very comfortable guest lounge, which is always open. 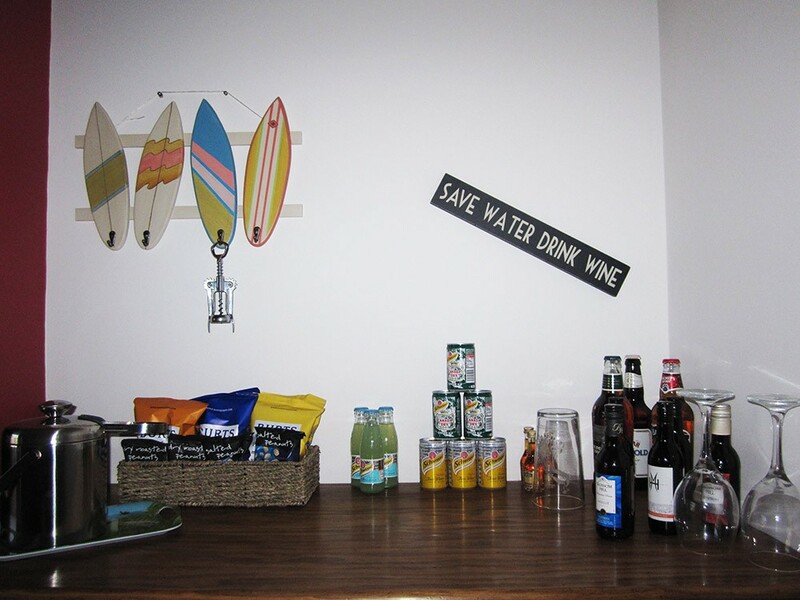 We work on an ‘Honesty Bar’ basis, so just help yourself to your favorite ‘Tipple’ and pay when you leave us. 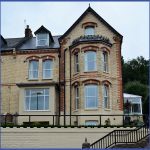 Located in the coastal town of Ilfracombe, The Dorchester Guest House is a short walk from the town centre, seafront, harbour & Tunnels Beaches Wedding Venue. If you are bringing a car, it’s a short drive to the golden beaches of Woolacombe, Croyde and Saunton, all reachable in around 15 minutes as well as Exmoor National Park. If you’re looking for something a little different, there are also plenty of other local activities to try. Golfing, fishing, surfing and horse riding are all nearby, as well as quad biking and paint balling. Perfect for both the young and young at heart. 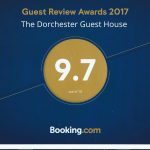 This all makes the Dorchester an ideal resting and touring base no matter what you want from your holiday in North Devon.